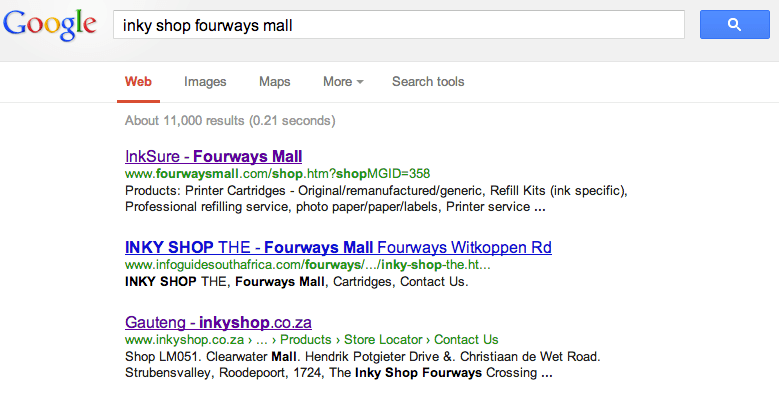 I guess you are wondering why I am writing about the Inky Shop in Fourways Mall. 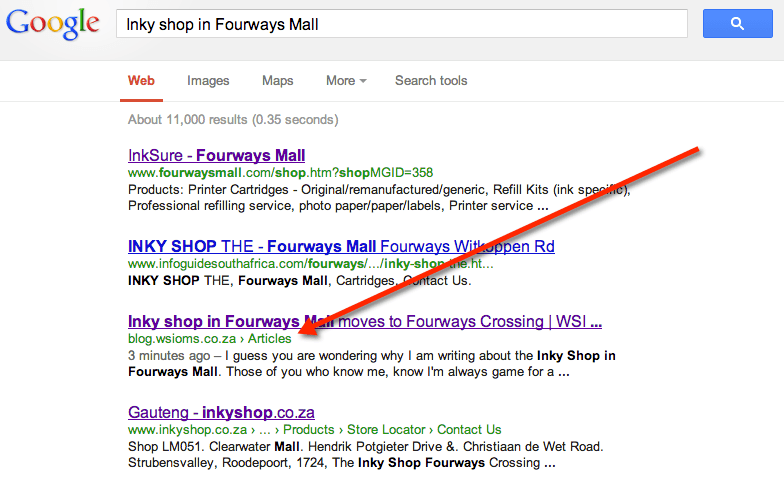 Those of you who know me, know I’m always game for a challenge and the challenge I took on is to try and get this post to number one on Google.za for the keyword phrase “Inky Shop Fourways Mall”. The first Inky Shop was opened in 2003 in Pietermaritzburg by Brett Porrit’s mother. Duncan Bouwer (one of the directors) just loved the idea and bought into the business. The Inky Shop offers a comprehensive range of printer cartridges and they cover most of the printer brands in the market today. When I met Duncan this week I immediately saw his passion for the business and that developing a quality product was high on his list of priorities. 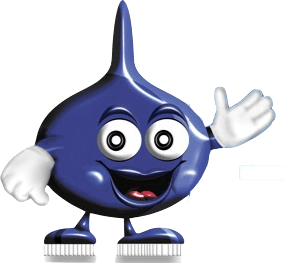 In fact the Inky Shop is so confident with the quality of their product that they offer a 100% money-back guarantee and they do this while providing unbeatable prices. 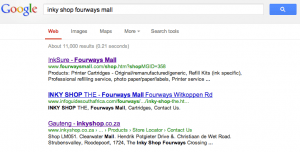 If you Google “Inky shop Fourways Mall” you get this result as of the time of writing this post (16h10 on the 1 December 2012). What I am hoping for is that after publishing this post, I will be able to get the first place position for the keyword phrase “Inky shop Fourways Mall”.